Modern Immigration procedures have widened with the growing needs of the businesses. 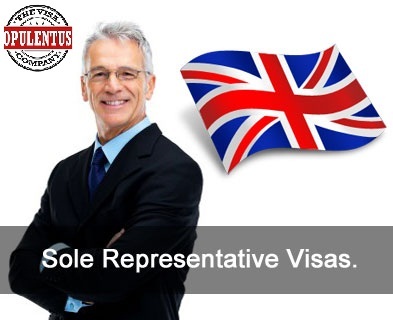 The United Kingdom’s Sole Representative Visa serves the purpose of businesses in sending their representative to establish their branch in the United States. The businesses of broadcasting such as newspapers, paper agencies and other media services can send their representative to open branch in the United Kingdom. The United Kingdom is the great land of opportunities and the employer doesn’t play any role in the sole representative visa, funds and investments are not the major criteria for this visa. This is visa permits the representative in the United Kingdom to bring back his family to the United States. The applicant must be the decision maker of the overseas firm with intent to establish a subsidiary in the United Kingdom. Businesses should not have any other branches in the United Kingdom. The applicant must have good working experience and the comprehensive knowledge on the industry related to his occupation. The applicant can own shares of his overseas firm, but, should not own the majority of the shares. The prospective applicant must have enough funds to support him and must have the good knowledge of English. The representative can bring his partner to the United Kingdom; the visa to the partners and children are granted to the same period to that of the representative. There are numerous benefits of this visa, initially the visa is granted for a period of three years, extended for two more years. At the end of the fifth consecutive years, applicants can apply for the indefinite leave to remain in the United Kingdom. The United Kingdom’s Immigration services will help the prospective applicants with the immigration procedures. Nice Chance for the Representatives who are Interested to Work in UK.